The Transport Committee of MPs has warned that the Government should not proceed with "all lane running" schemes while major safety concerns exist. Over £300m is currently being spent introducing just that on the M1 through Rotherham. Highways England has been working on the £106m scheme on a ten mile stretch of the M1 between junctions 32 (south of Sheffield and Rotherham) and 35a (north of Sheffield and Rotherham). A 20 mile stretch of the M1 between junction 28 (South Normanton) and 31 (Aston) is also benefiting from a "smart motorway" project costing £205m where four lane running began in April. The Committee, a group of MPs charged with scrutinising the Department for Transport, did not agree with Government that this is an incremental change and a logical extension of previous schemes. It concluded that the permanent loss of the hard shoulder in all lane running schemes was a radical change and an unacceptable price to pay for such improvements. Louise Ellman MP, chair of the Transport Select Committee, said: "The permanent removal of the hard shoulder is a dramatic change. All kinds of drivers, including the emergency services, are genuinely concerned about the risk this presents. "It is undeniable that we need to find ways of dealing with traffic growth on the strategic network. But All Lane Running does not appear to us to be the safe, incremental change the Department wants us to think it is. While "smart motorways" have existed for years, this is fundamentally different. 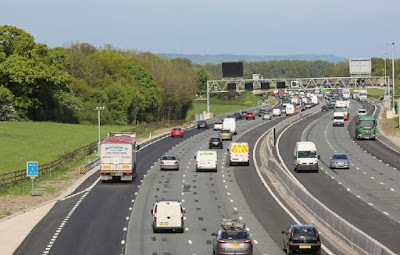 Government needs to demonstrate that All Lane Running schemes do not make the road any less safe that the traditional motorway with a hard shoulder. Highways England has set out proposals for a project for four lane running on a stretch of the motorway between Rotherham and Wakefield which would ultimately help create a smart motorway all the way to Leeds. In the recent budget, the Government confirmed that funding would be made available to accelerate an M1 smart motorway scheme from junction J35a to 39. During consultation for the M1 schemes, safety concerns were raised by South Yorkshire Police over the use of the hard shoulder.